Our special interpretation of the traditional italian deck. 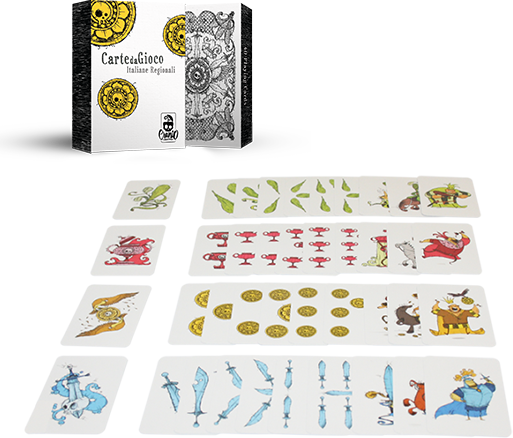 Original and funny illustrations rejuvenates the old-fashioned deck used in many popular games. Wanna bring our sweet products in your country? Wanna storm the italian market with your products? Wanna get our press realeses and kits? Wanna talk about your game idea? © 2019 Cranio Creations International.